Without question, Arturo Fuente Añejo cigars are among the most coveted maduro cigars in the world. These dark, Connecticut Broadleaf-wrapped Dominicans are the result of tragedy and triumph from the esteemed Fuente family. Story goes, in 1998 Fuente’s Chateau de la Fuente farm was devastated by Hurricane Georges, leaving Arturo Fuente void of their legendary OpusX wrapper leaves. In typical Fuente fashion, the brand adjusted accordingly, with Carlos Fuente Jr. calling for the use of a special Connecticut Broadleaf to be used as a replacement—here, the beloved Añejo blend was born! As mentioned, the blend consists of Fuente’s proprietary OpusX recipe, topped with a unique Connecticut Broadleaf wrapper—this is where the cigars acquire their status as rarities. Each wrapper leaf is aged a minimum of 5 years before undergoing a secondary aging process in used cognac barrels. Añejo cigars are made in small batches and traditionally only released near Father’s Day and Christmas. 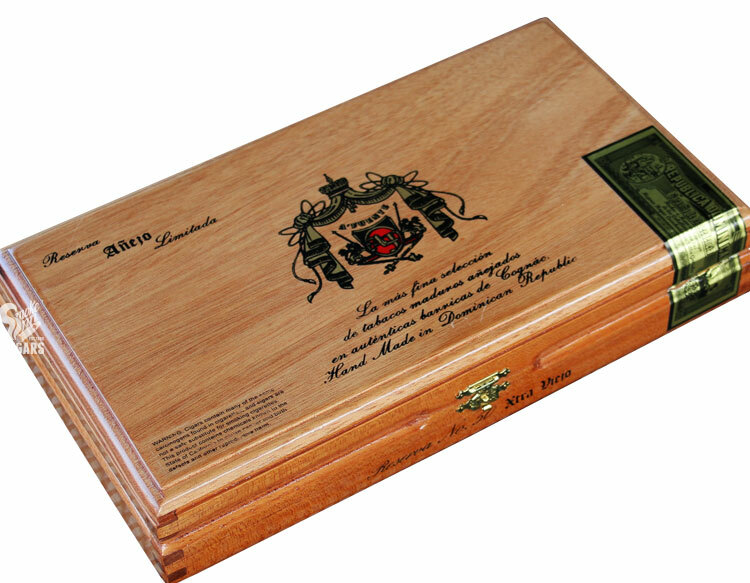 Secure your order of these amazing cigars while supplies last!